TEGUCIGALPA, Honduras (CNS) — A Honduran court found seven men guilty of the murder of indigenous human rights and environmental advocate Berta Caceres. 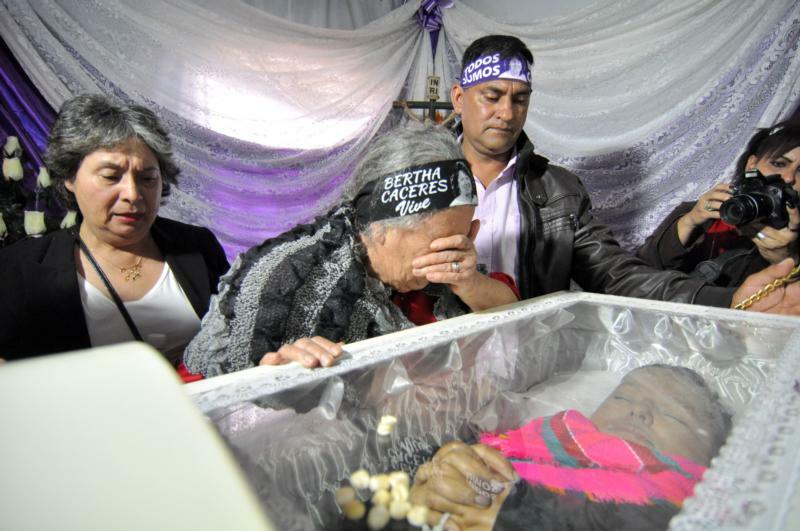 Caceres, who founded the Council of Indigenous Peoples of Honduras in 1993, was murdered in her home in La Esperanza early March 3, 2016, two days before her 45th birthday, in what police initially called an attempted robbery. The Lenca indigenous leader was internationally known for her opposition to the Agua Zarca hydroelectric dam on the Gualcarque River in western Honduras. Construction of the dam would have flooded larges areas of land and cut off food and water supplies for hundreds of people. Caceres’ efforts earned her the 2015 Goldman Environmental Prize, an award considered the Nobel for ecological actions. The court said Desa executives ordered the killing because of delays and financial losses linked to protests led by Caceres. The murder was contracted to a group of hitmen who were paid to kill the activist, court records showed. The Guardian reported that the verdict was welcomed by Caceres’ family and colleagues, but they continued to press for prosecutions of those who planned and financed the plot.